New Delhi : When the talk about Rafale deal is in every Indian's mind, a couple in Gujarat has designed a Rafale themed wedding invitation card which has earned appreciation from Prime Minister Narendra Modi. The wedding card has a footer saying the only gift the couple expect from their guests is to vote for the BJP in the upcoming elections and a monetary contribution for the saffron cause on the party app. A Surat based couple, Yuvraj Pokharna and bride-to-be Sakshi Agrawal has designed a Rafale themed marriage invitation card and in the letter, PM Modi described the content of the card as "ingenious" and asserted that it had inspired him to work even harder for the country. The couple is getting married on January 22. Talking to the media, the groom-to-be said he received the prime minister's letter, which is addressed to his mother, on January 17 through e-mail. 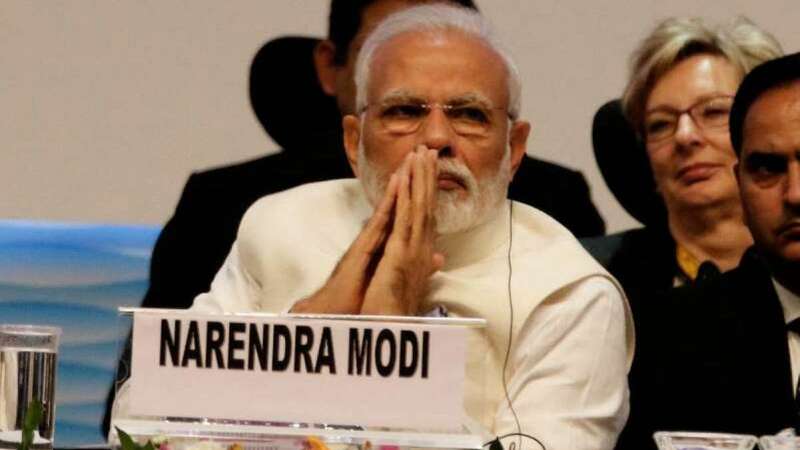 The text that follows starts with the line "Even a fool will not compare prices of a simple flyaway aircraft with a weaponised jet", before going on to provide a jumble of numbers and words aimed at defending the Modi government's version of the deal. The content also gives reasons for Reliance Defence being chosen for the offset contract, the cancellation of an earlier deal fixed by the United Progressive Alliance, and why a joint parliamentary committee cannot be allowed to conduct an investigation into the matter. Also, bride-to-be Sakshi Agarwal said the intention was to make women, especially housewives, aware about the deal in which the opposition Congress has alleged irregularities, a charge stoutly denied by the BJP and the Modi government. This is the second time PM Modi has featured in a couple's wedding plans. Few days back, Dhaval and Jaya from Surat asked for a similar gift in their wedding card.